There are more and more hobbyists taking advantage of surface mount technology these days. With affordable tools like hot air and hotplate reflow ovens, electronics enthusiasts are shrinking their projects down to new levels of portability. Unfortunately, It's not always easy to get your hands on small amounts of SMD parts so here's a strip of common capacitors. That's right, each pack includes 50 tiny 3216 SMD capacitors in cut-tape packaging. 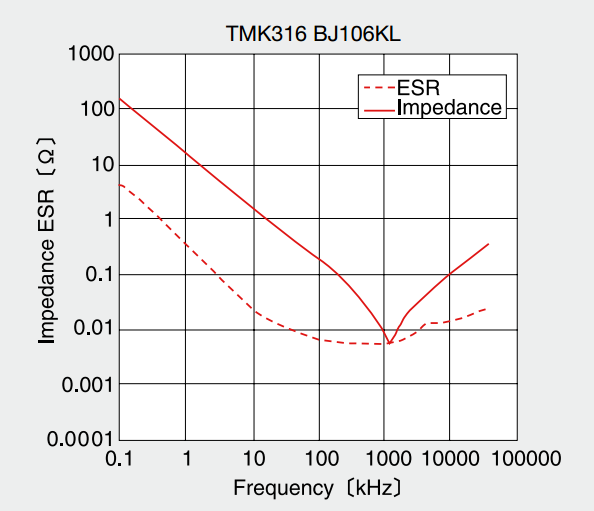 which shows that this tantalum has an ESR of about 1 Ω between 100 kHz and 50 MHz. 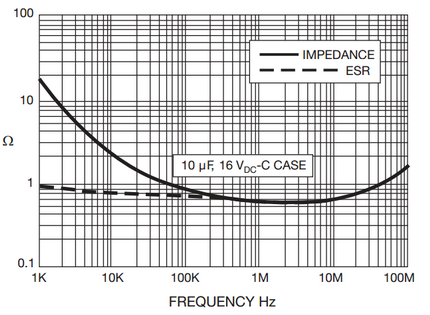 That's 10x better leakage current and 100x lower ESR, not to mention the lower cost! 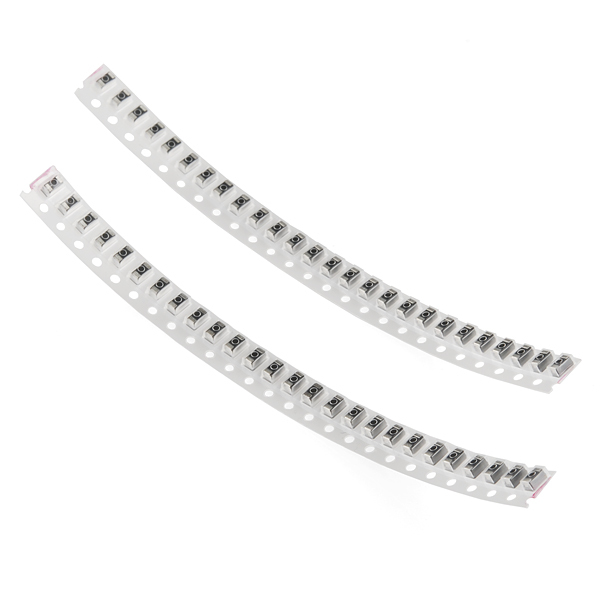 Similar parts are also available in 0805 (metric 2012) packaging, which requires less than half the board area. Plus, as Whosawhatsis and langwadt opined, ceramics are simply a joy to work with compared to tantalums. They both fail as short circuits, but tantalums contain materials which catch fire while ceramics don't. You should have a fuse or PTC, but the thought of flames is still scary. Ten years ago, if you needed a small 10uF tank/decoupling capacitor, it had to be tantalum. Recent advances in ceramic technology have thoroughly changed the landscape. The overwhelming majority of projects will be better served with ceramic (or electrolytic for larger capacitances). There are a few places in which tantalum still makes sense. The FTDI breakout board, which uses this tantalum part, is not one of those places. Your project is probably not one of those places. 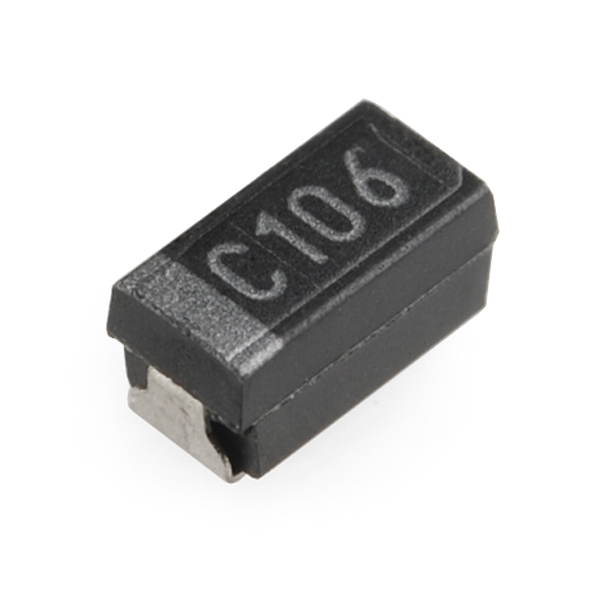 You can get 10uF 16V MLCCs (non-polarized ceramic capacitors) in an 0805 package. They're a joy to use compared to tantalums like these. 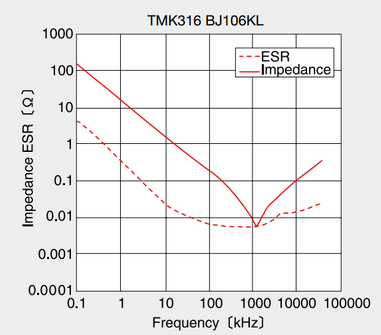 I agree that MLCCs are a joy to use compared to tantalums. There are many, many reasons why they're better. I've posted a few in this comment below. Nice idea, but sadly, if I need things in bulk like this I would just go to digikey so I can get SMD ICs and stuff as well. Nothing against you guys, but just pointing it out. I think the point is that some hobbyists, even those that know about digikey and friends, have trouble picking the right parts. Digikey is interested in selling you every part, not just the ones that you will find easy to solder. 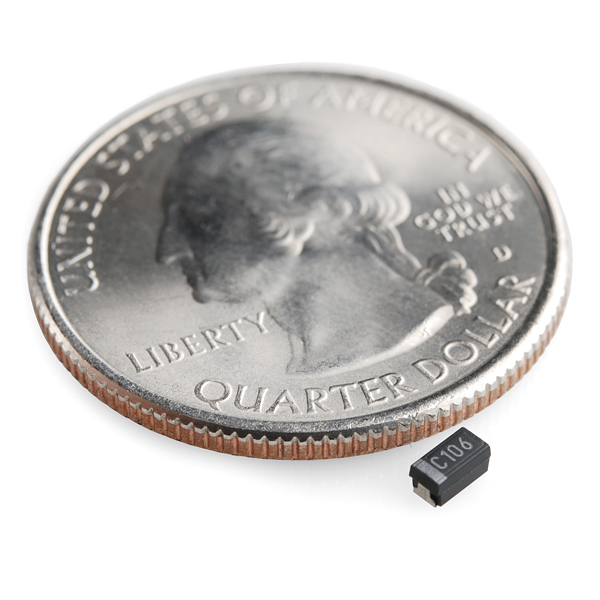 Sparkfun had chosen parts with an easy to use size in common values. 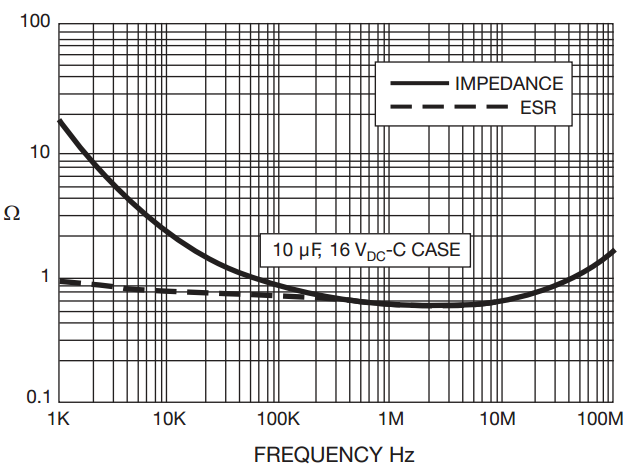 Most beginners have no clue about packages, power ratings, voltage ratings, etc. Ok now that I look at it, these are in a massive package size so I guess it makes sense. I'm just used to using 0201, 0402, or 0603. May not make sense if you want a extremely small board, like my specs usually require. Right. I've seen SparkFun use these specific capacitors on their FTDI breakouts before. That's probably why they are selling these in strips - so many on hand. The resistors that SparkFun are selling seem to be 603, by the way.